There’s only one thing worse than being single on Valentine’s Day: experiencing a break up on Valentine’s Day. Unfortunately, according to various studies, break-up rates happen to increase as the holiday nears. If you’ve ever faced a break up, know that you’re not alone. 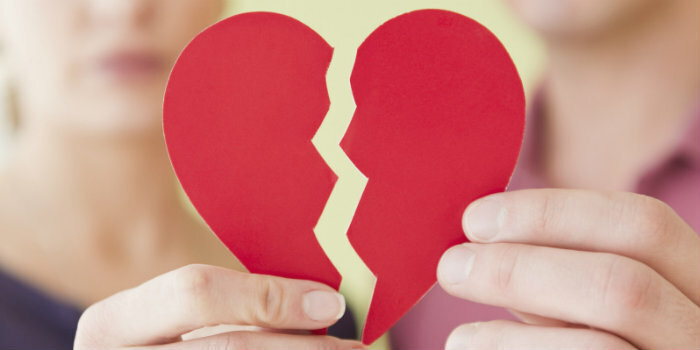 Although breaking up on Valentine’s Day might feel a million times worse, you have to remind yourself that it’s no different than any other break-up and, allow yourself to begin accepting that it’s over. 1. Indulge in half priced candy while you grieve. They say chocolate can mend a broken heart and everyone knows the day after Valentine’s Day is significant for one reason: cheap candy. Why not treat yourself to some half-price sweets? Break ups are unpleasant, but candy is sweet and certainly won’t contribute to your heartbreak. If you would prefer consuming a bucket’s worth of ice cream, then be my guest. The last thing that should be on your mind is that you’re cheating on your diet. A broken heart deserves at least a week’s worth of cheat days. 2. Spend time with your closest friends and loved ones. There’s nothing comparable than feeling treasured by those closest to you. Once you find the energy to get out of bed and get back into the swing of things, allow your friends to take you out to dinner to keep your mind off things. You deserve a stress-free night. If you’re not ready to seek support from your friends and family, then that’s completely fine. Spending time with yourself is just as important. Just remember that you have a whole support system outside of your romantic relationship, that’s waiting to provide you with the affection you deserve. 3. Discover a new hobby. Now that you’re newly single, you may have a lot of free time on your hands that you would’ve otherwise spent with your significant other. Finding a hobby is a healthy way to fill that void. Partaking in hobbies not only reduces stress, but strengthens different parts of your mind and your body if it’s something physical like a sport. Break-ups are always difficult, and around Valentine’s Day, they can be more traumatic. However, it’s crucial to remember that Valentine’s Day is a celebration of all kinds of love. You are never alone after a break-up because you still have those closest to you to lean on. Most importantly, you will always have yourself to rely on so don’t allow your loss to hinder the love you have for yourself.